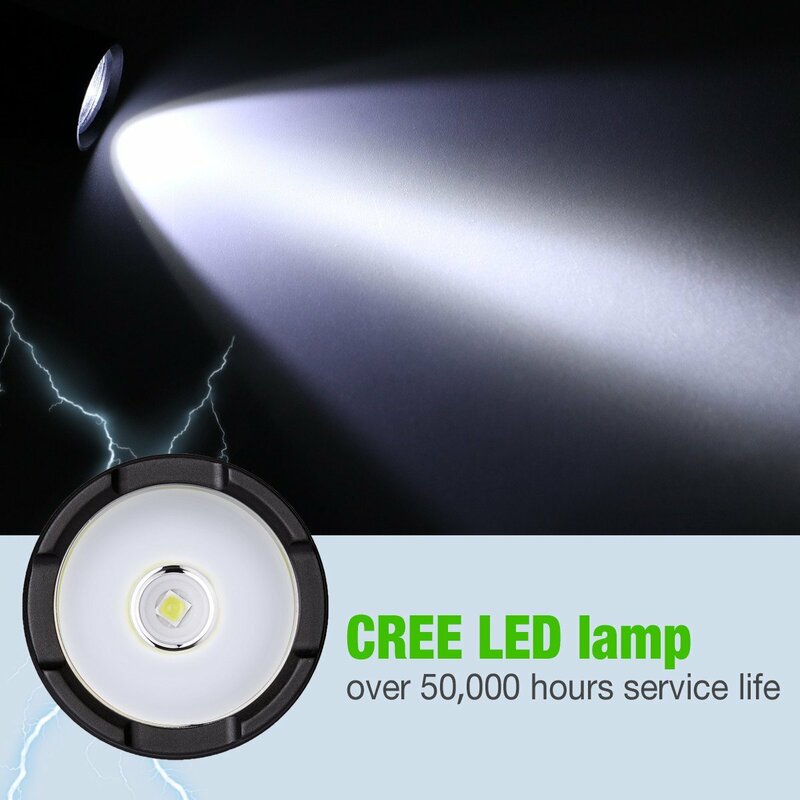 This LED flashlight is very useful in your daily life. 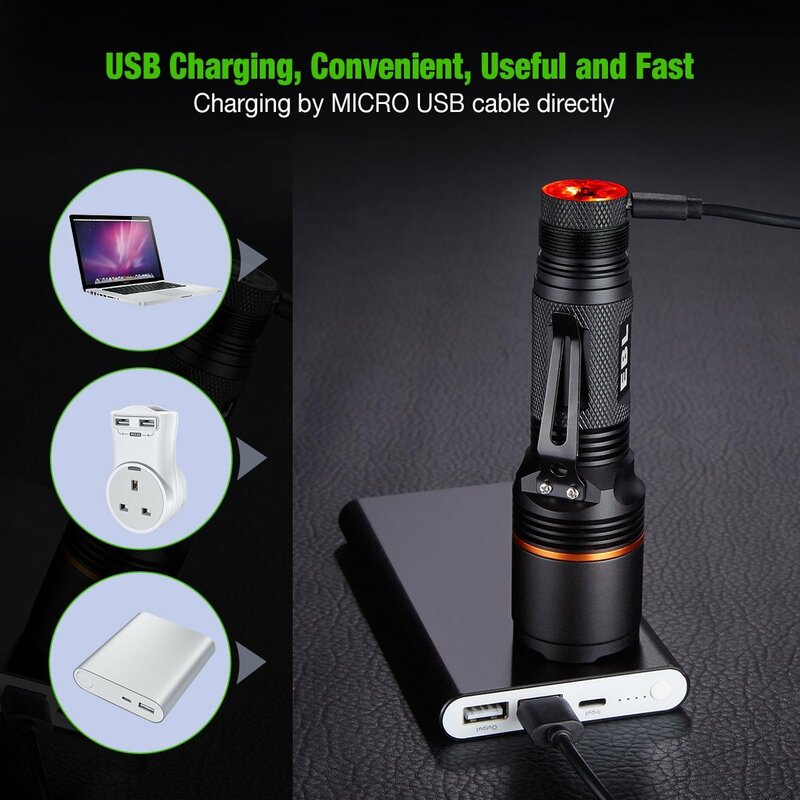 It can be powered by Micro USB charging directly. 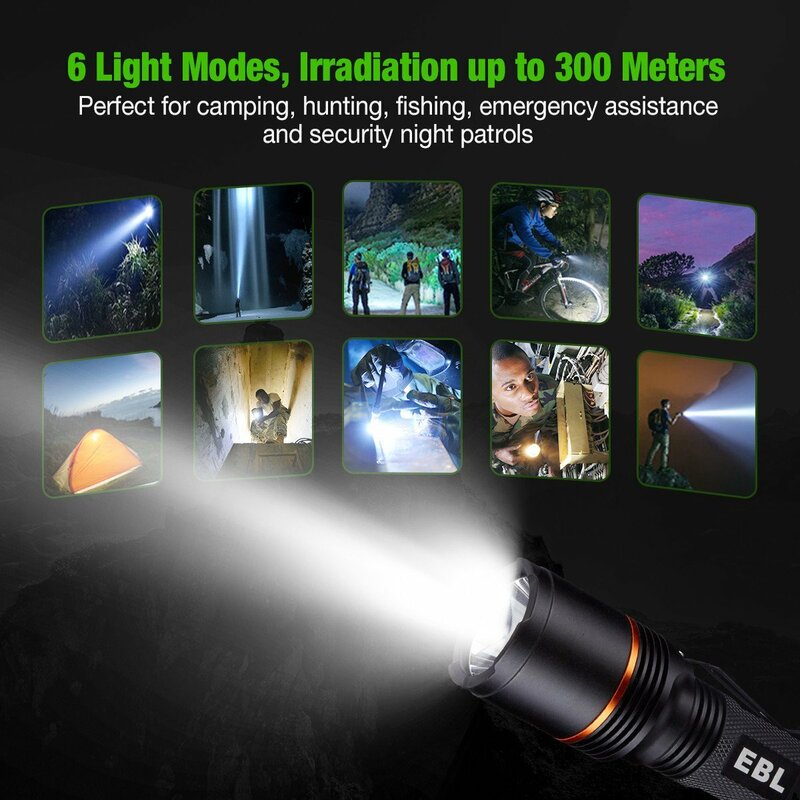 This portable LED flashlight has user-friendly 6 modes for you to operate for different situations. The 6 modes include general modes: high, middle and low; advanced modes: strobe, slow flash and SOS. 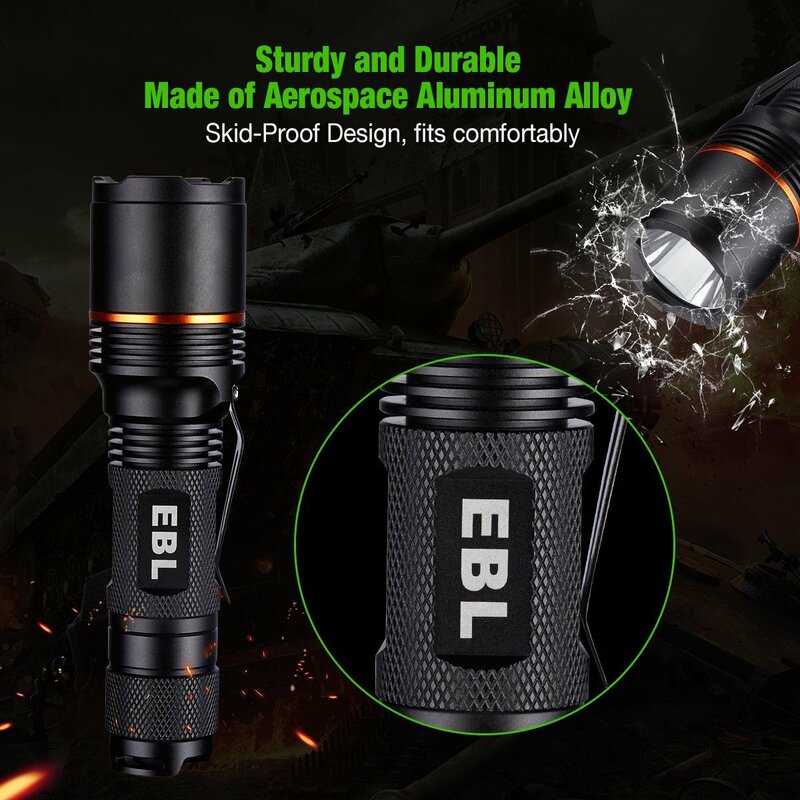 Made of 6061-T6 aluminum alloy for the shell, and equipped with Cree XPL HD LED, the flashlight features 1000 lumens and 50000 hours’ long lifespan. 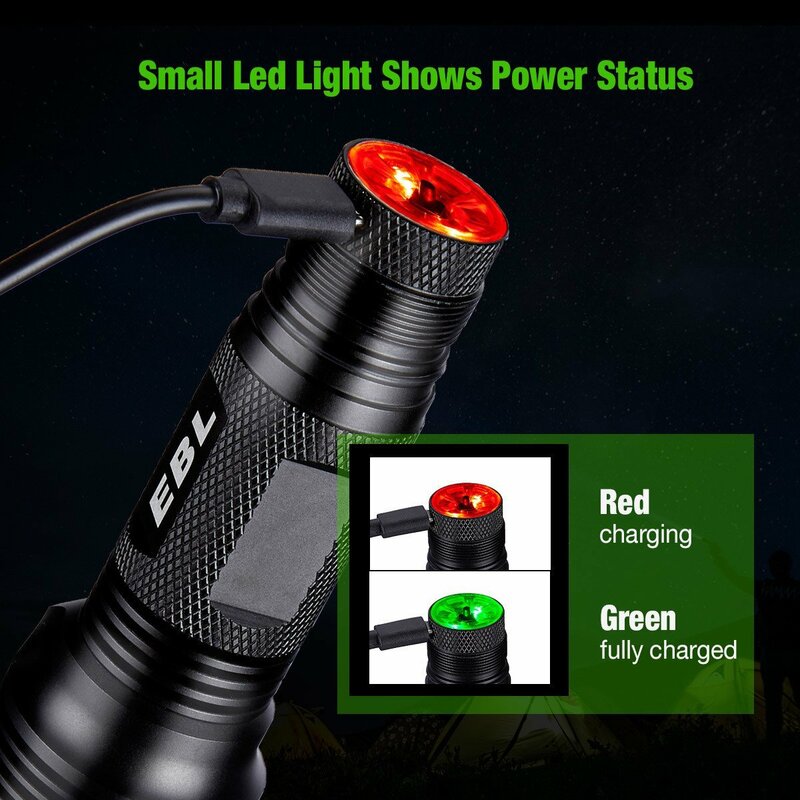 This waterproof flashlight is convenient and durable with IP68 waterproof rating that allows you to use it in the rain. 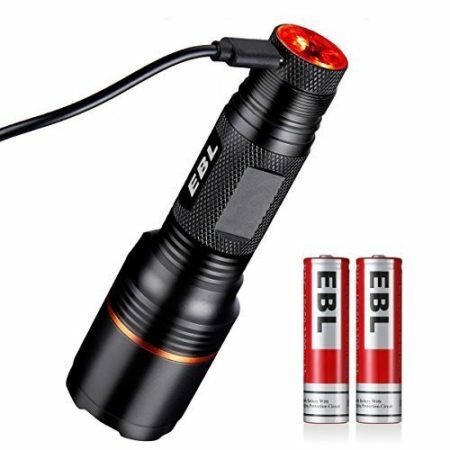 This compact tactical flashlight has a unique clip design that enables you to take the flashlight anywhere easily by fixing it on your belt or pocket. 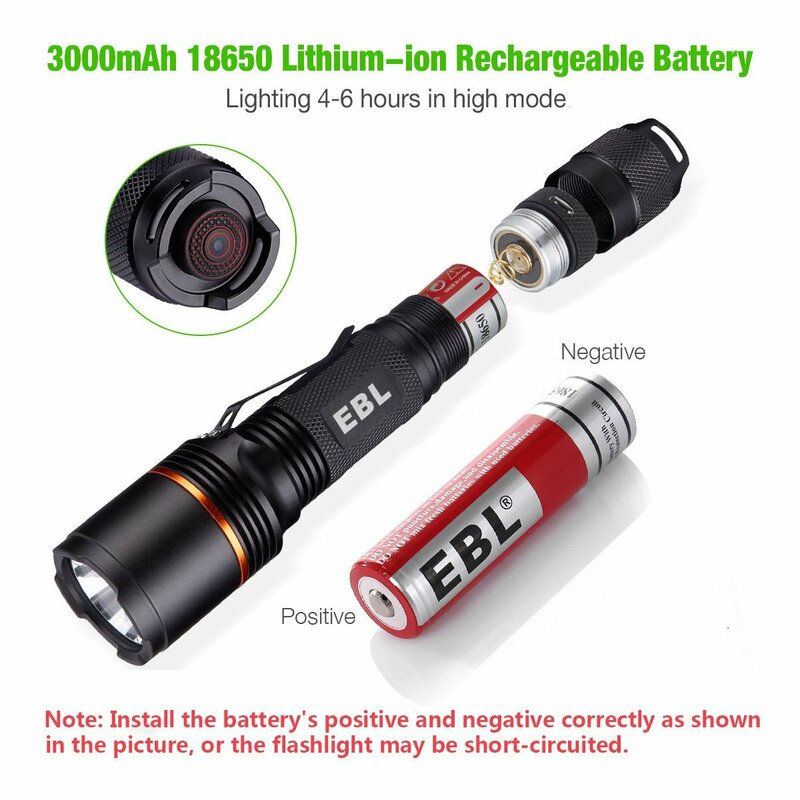 These 2-pack EBL 18650 rechargeable batteries are high-quality 3000mAh Lithium-ion batteries. The 2 batteries come pre-charged and can be used immediately out of the package. 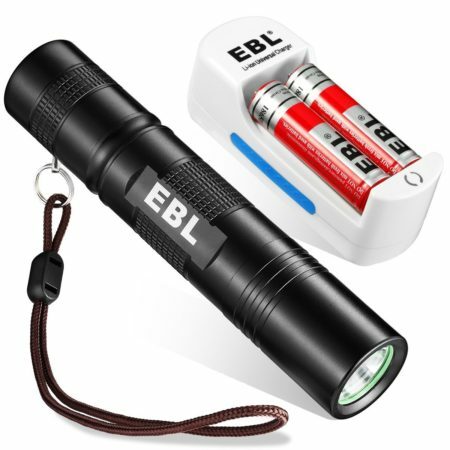 EBL rechargeable batteries have up to 1200 times’ recharge circles. Batteries can be used repeatedly for your household devices, such as toys, remote controls, handheld games, PDAs, flashlights, alarm clocks, toothbrushes, shaver etc.